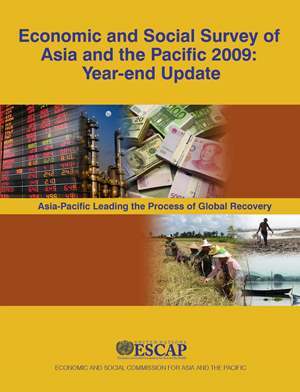 As with other regions of the world, the global financial crisis hit Asia-Pacific with full force from late 2008 onwards. The crisis evolved quickly into an economic crisis which saw unprecedented double digit declines in trade flows. A year later, it would appear that the worst of the crisis is behind us. Key financial and economic indicators have stabilized, and economic growth has picked up in the second and third quarters of nearly all the major developed and developing economies in the region. Nevertheless, considerable uncertainties remain, particularly with respect to the extent and durability of the recovery in the coming quarters. The recovery is dependent on developments outside the region—most importantly, the degree of recovery of consumption and industrial production in developed countries, continued easing of the credit crunch and return to normalcy in the global financial markets. The immediate challenge for the region's economies will be to guard against premature withdrawal of existing supportive policies and to formulate additional measures that boost the speed and spread of economic recovery.